A vital part of the color, festivity and creativity of Santa Fe, The Santa Fe Society of Artists’ juried outdoor fine art shows afford visitors the opportunity to enjoy fine painting, printmaking, photography, and sculpture and to meet the artists. Visitors can take home with them wonderful artwork and the memorable experience of their interaction with its creator. You’ll find us in downtown Santa Fe just west of the Plaza ACROSS from the Museum of Fine Art in the 1st Nat’l Bank Parking lot every weekend from the end of April through mid October (except weekends of Challenge NM, Spanish Market, Indian Market and Fiesta events). Meet Santa Fe’s Premier Artists and Enjoy Their Exceptional and Diverse Talents! 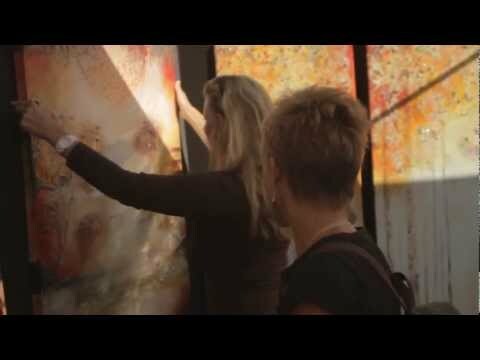 The 2nd largest art market in the country, Santa Fe draws art-lovers from around the world. The Society was founded in 1981 and has remained the premier juried fine art group in Santa Fe since that time. A vital part of the festivity and creativity that draws visitors to Santa Fe, the SFSA outdoor fine art shows afford an opportunity to experience firsthand an important part of Santa Fe’s culture – the artists! SFSA provides a vehicle for Santa Fe artists to self-promote and exhibit independently. The original 23 founding artists agreed that the best stimulus for artistic and professional growth was exhibiting their own artwork in a public setting. This principle remains true today. Read or Add Reviews on Trip Advisor!